Technical performance and style are perfectly merged together in this 45NRTH + Red Wing collaboration. 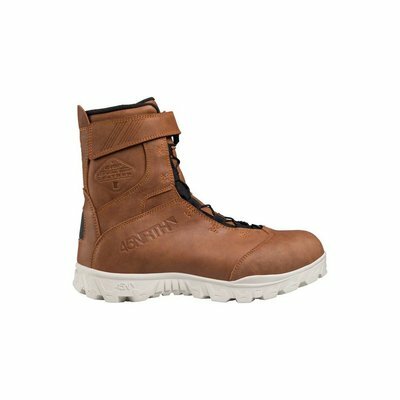 This special edition boot combines Made-in-Minnesota Red Wing leather with the technical materials of the award-winning Wolvhammer. Proven insulations including Aerogel and Primaloft keep your feet warm, while a waterproof inner membrane protects against moisture from the outside.